Replacement booster pump only. 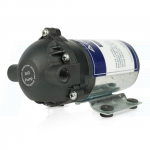 See booster pump conversion kit for additional components required to convert your pump-less filter system. APEX Water Filters guarantees that our systems will meet your water filtration needs. Reverse osmosis filtration systems work on the principal of forcing water through a spiral-wound semi-permeable membrane. Reverse osmosis filtered water is often called fresh squeezed because it is literally squeezed through the RO membrane. Salts, like sodium, chloride and potassium along with nitrate, sulfate, lead and other contaminants cant pass through the membrane and get flushed or rejected down the drain as waste water, while purified water is collected in the water storage tank. Many water supplies suffer from low or inconsistent water pressure. 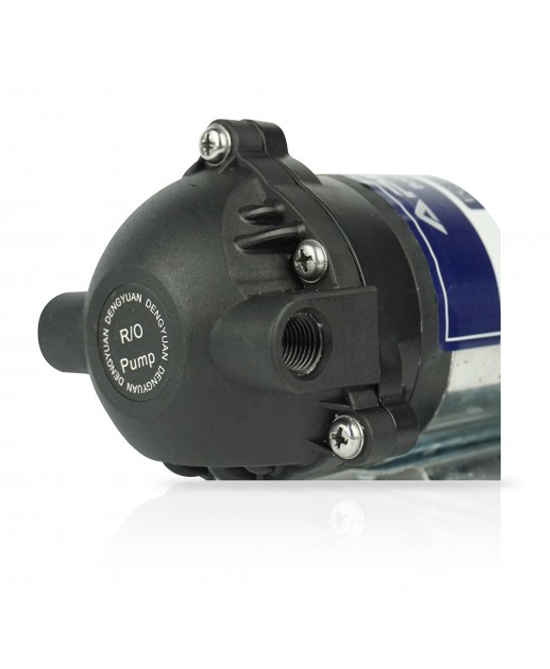 Well pumps may not be able to maintain the proper water pressure for an RO filtration system. Even some municipal water systems have unsuitable water pressure. If you live in an apartment or high-rise building your water pressure can fluctuate as water use increases throughout the facility. This may cause your reverse osmosis filter system to stop working or work very poorly. 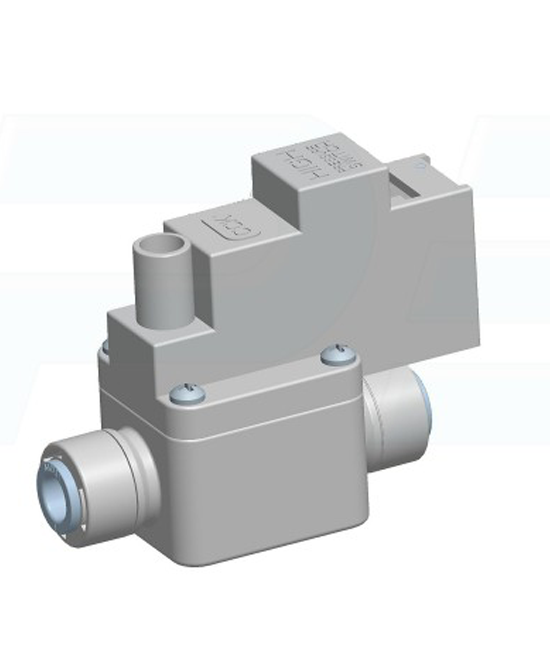 If the water pressure is below 30 PSI, the RO system will send more water to waste than is necessary. 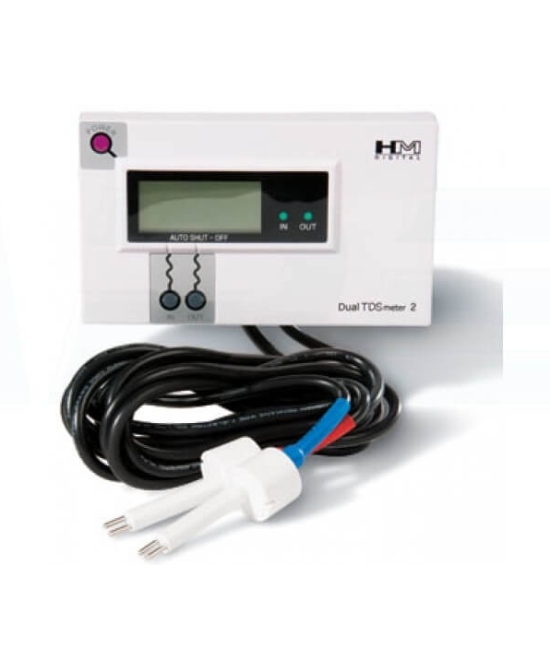 The water purity of the filtered water can also decline because the reverse osmosis membrane cannot function properly. 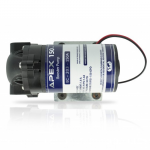 The APEX 150 Booster Pump can be used to correct a low-pressure condition or replace a broken booster pump. 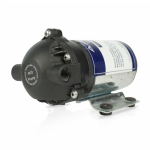 The APEX 150 booster pump is a direct fit replacement for APEX reverse osmosis filters. 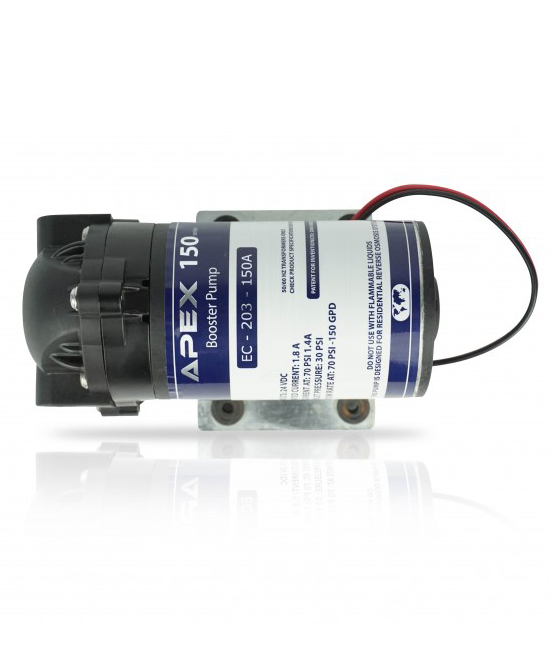 The APEX 150 Booster Pump uses a safe 24-volt low-voltage transformer to provide electric power the pump. 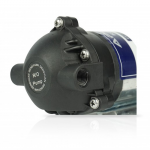 The booster pump increases the incoming water pressure to the ideal 80 PSI. This water pressure level maximizes the number of gallons produced per day while minimizing the amount of wastewater sent to the drain. 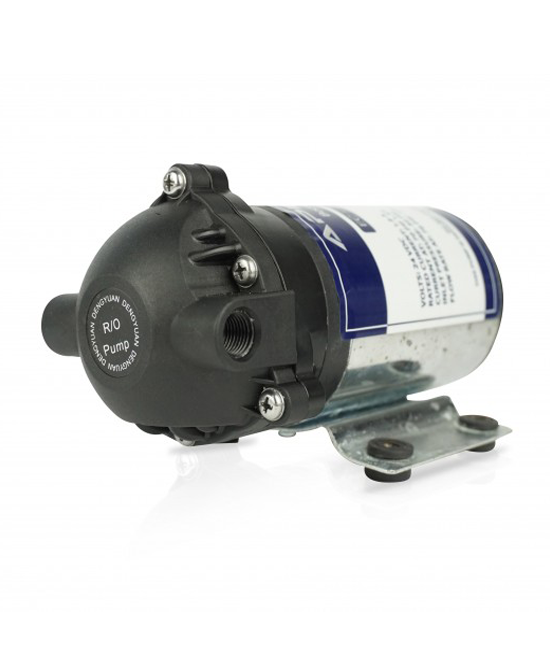 The APEX 150 Booster Pump is designed in the United States and manufactured with high-quality components that will provide years of trouble-free service. The booster pump installation can be performed as a DIY project. We advise installation by a licensed plumber to ensure adherence to all local codes. Replacement booster pump only. See booster pump conversion kit for additional components required to convert your pump-less filter system.